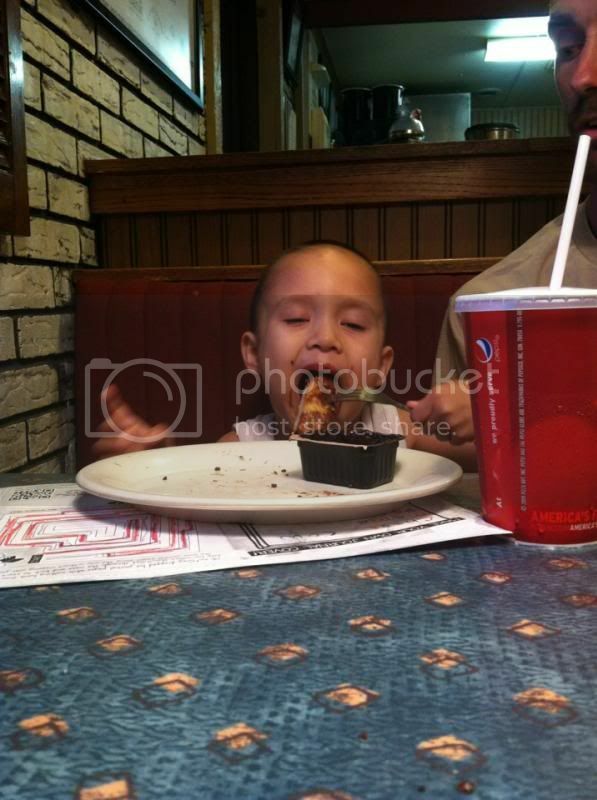 "Some People Dreams of an Angel... We Just Held One in our Hands"
When my son gets so hungry this is what he looks like, having a big bite in the Dunkers that we once have at Pizza Hut. He has his desert this time after the dinner. He loves the dunkers because it has crushed Hershey’s on top of the bread. I’m sure every kid would love and enjoy this dessert too. I used to, but not anymore as my taste buds were quite changed. Being a Mamarazzi, I have to take one photo of amusing moments my kid does. Something I can look up when the time comes. Oh, that mouthful bite, he looked like he is in heaven biting that dunkers hehehe. He looks so very happy getting that mouthful of deliciousness. There is something special about the joy of a child. He's so cute on that photo. I bet he really likes what he is eating. hehehe... so cute! When these kids are hungry they turn into little monsters. Just kidding! :) You make me hungry for pizza now. Your son looks hungry. He looks cute with his hungry face.